Jim Clark and Graham Hill have won at Watkins Glen (N.Y.) International. So have Jackie Stewart, Niki Lauda, Emerson Fittipaldi and James Hunt. All these drivers won driving Formula One cars when the F1 calendar included The Glen from 1961 to 1980. 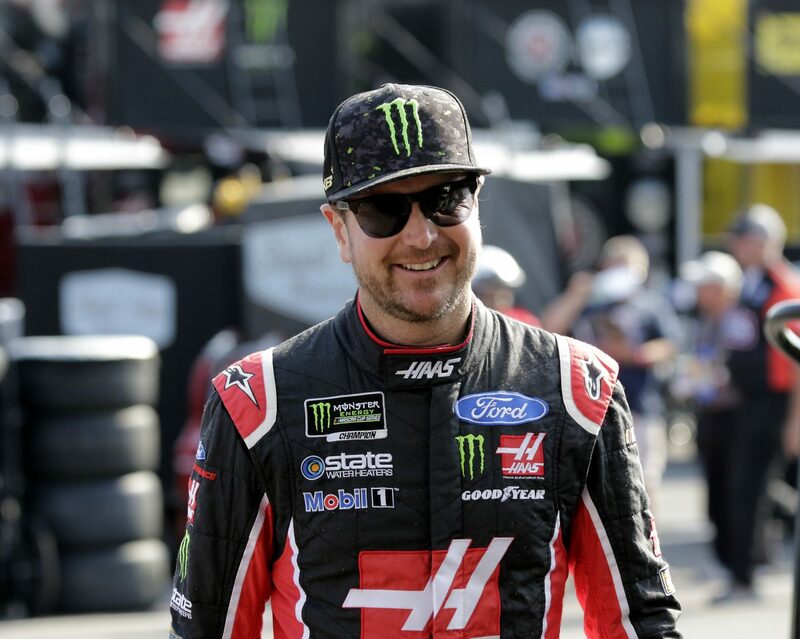 Kurt Busch is looking to join these legend drivers as winners at The Glen this weekend, but he’s not going to do it behind the wheel of a Haas F1 Team, rather as driver of the No. 41 Haas Automation/Monster Energy Ford Fusion for Stewart-Haas Racing (SHR). Busch’s road-course career started in 2000 as a young driver in the NASCAR Camping World Truck Series. He finished second at Watkin Glen and 11th at Portland (Ore.) International Raceway. In his three NASCAR Xfinity Series races at Watkins Glen, he started first in each, won in 2006 and 2011, and finished third in 2007. In these three races, Busch led 98 of the 250 laps available – 39.2 percent. In the Monster Energy NASCAR Cup Series, Busch swept the poles for both road-course races in 2006. He won his fifth career Cup Series pole at Sonoma (Calif.) Raceway in June and sixth at Watkins Glen in August, marking the only Cup Series poles Busch has earned on road courses. He scored his first Cup Series road-course victory at Sonoma in 2011, leading a race-high 76 laps. Busch passed Denny Hamlin for the lead on lap 13 and stayed out front for the next 19 circuits around the 1.99-mile track. He relinquished the lead twice for scheduled, green-flag pit stops and took over the top spot for the final time on lap 88, leading the final 23 laps. Busch is hoping the No. 41 Haas Automation/Monster Energy Ford Fusion is up to the challenge at Watkins Glen. He has finished in the top-11 the last five years at The Glen, highlighted by a third-place drive in 2014. Busch is hoping he can be a force on the road course at The Glen and join the legendary drivers who have seen victory lane. You’ve won a Cup Series race at Sonoma and won Xfinity races at Watkins Glen. What does it take to be successful on the road courses? Should NASCAR run the “Boot” at Watkins Glen? Is there a road course in the world that you would like to run that you haven’t? Is there a “bucket list” track for you? Is road-course racing a little more intense than it was in years past?